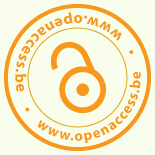 You can now back this movement by also signing the opinion piece on the site I love open access. Cabut, Sandrine and Larousserie, David. Savoirs. Un bien public convoité. In : Le Monde (March 2, 2013). Also read: A qui appartient le savoir? (To Whom Does Knowledge Belong ?). Posted on March 22, 2013 by François RenavillePosted in UncategorizedTagged open access.